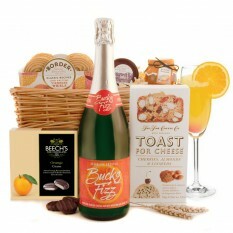 Our Breakfast Hampers remain one of our best sellers here at Smart Gift Solutions, and we know why. 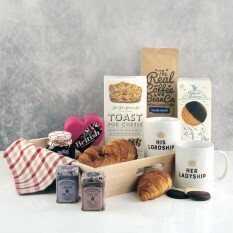 It doesn't matter what occasion you're shopping for, a thoughtful breakfast hamper is a unique and lovely way of showing you care - and it doesn't have to break the bank balance either! What's more, they include unusual and tasty treats to be shared amongst friends and family, or simply in bed indulging alone! 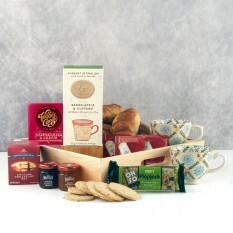 Ranging from salmon breakfast treats to a lovely cup of tea and biscuits, there are wonderful contemporary and traditional designs to be enjoyed. 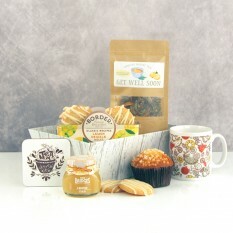 Birthday, Anniversary or Mother's Day - you simply can't go wrong. 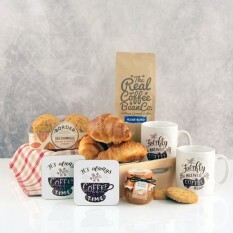 Are you looking for a unique gift idea to celebrate a special occasion? Send one of our exclusively designed Breakfast Hampers via our express delivery straight to your desired destination to make a special someone very happy! Whether it is a romantic occasion, celebrating an anniversary or wishing your Mum a lovely Mother's Day, they're a treat that is unusual and shows you put real effort and thought into your gift-buying experience. 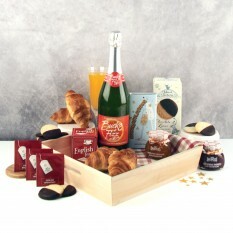 If you're looking for a romantic gift to celebrate your anniversary with a loved one, we are certain you can't go wrong with our traditional Celebration Breakfast Gift Hamper! With a delicious selection of tasty treats to create a delicious and exciting breakfast, it will really earn you some brownie points. Featuring Bucks Fizz, Les Brioches butter croissants, and our finest salmon, it will have your partner feeling very special. 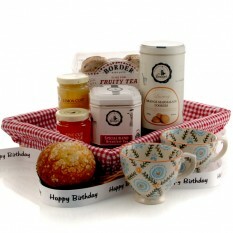 We also provide you with the option of adding a teddy bear or some chocolates to make the gift even more special! 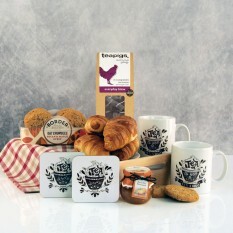 So why not organise a breakfast delivery today? Delighted with my purchase which arrived on time and in perfect condition. I would definitely recommend this site to a friend. Didn't know what to get the person who has everything and Smart Gift Solutions was the perfect place to shop. I have never used the site before but was very impressed with the variety of different products available. 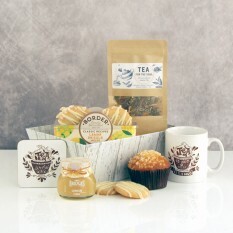 You don't always want to send flowers and chocolates when someone is ill so the tea and muffins basket was the perfect gift. I will be using this site again. The site was very user friendly. This is the third time that I have ordered gifts and each time everything is absolutely perfect. Thank you.